Missouri Chihuahua Rescue View other Chihuahuas for adoption. Hobbit, located in Missouri, is a very handsome, wonderful, smart little guy. A beautiful yellow Chihuahua with a few white markings. He's a little guy, 8-9 pounds and about 2 years old. Hobbit is a shy, timid dog that does require a fenced yard and no small children. Hobbit is a puppymill dog. What that means is he has never lived in a home before and he is very under socialized. He is learning everything for the first time. He has made friends with his foster Mom and Dad and is very willing to learn. He has mastered crate training and doing good on housebreaking. Hobbit gets along with other dogs great and just loves having a dog buddy or two. He is not very socialized with people though so he will need work on that. He has his rabies and dhlpp shots, tested neg for heartworms, neutered and he is microchipped. 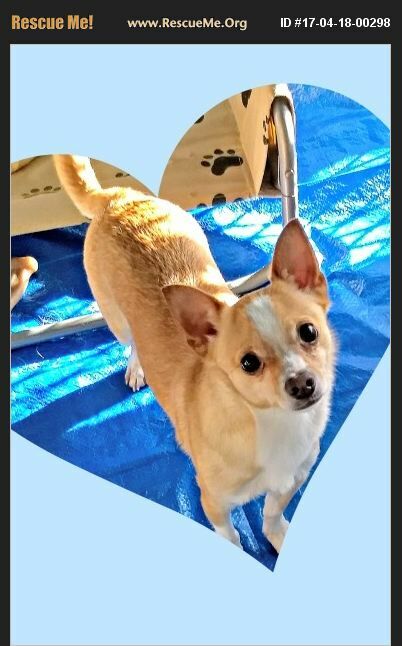 Adoption Fee $100 If interested please go to https://goo.gl/forms/YN6oH5XmnyzUyNnd2 and fill out an application.